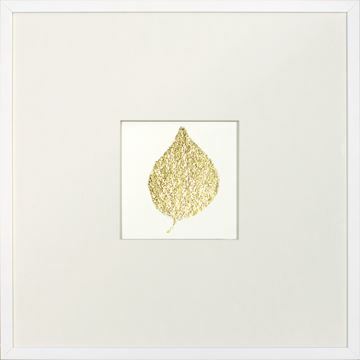 Precious little hot stamped gold foil leaves. 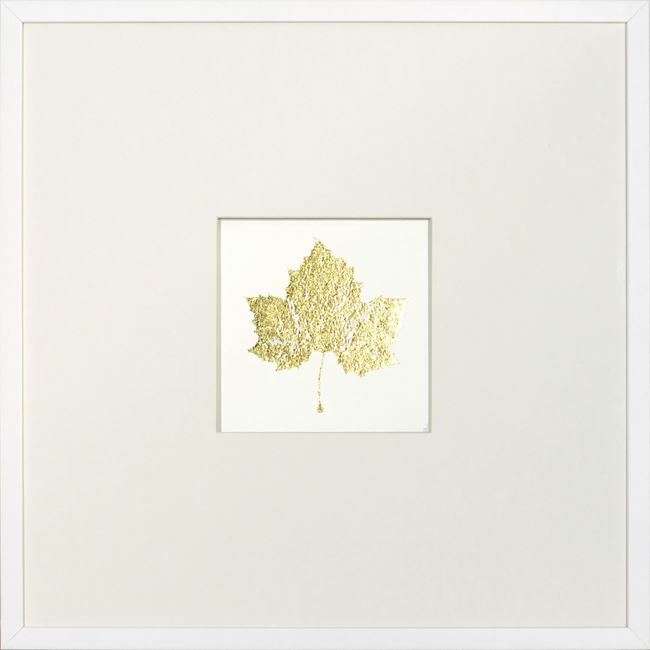 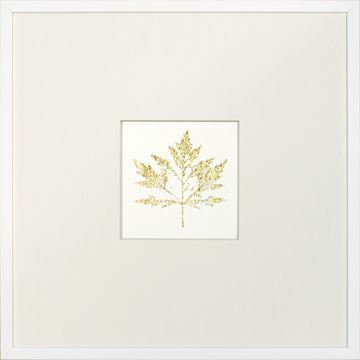 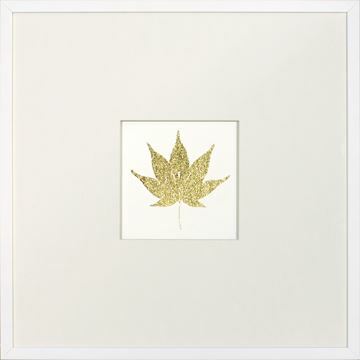 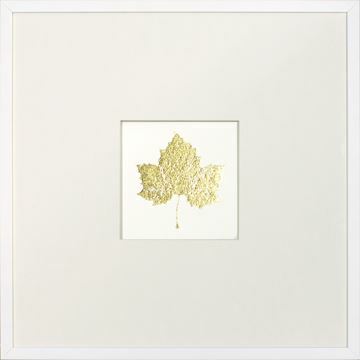 Precious little hot stamped gold foil leaves make a stylish statement individually or will play their part in gallery style hangings. 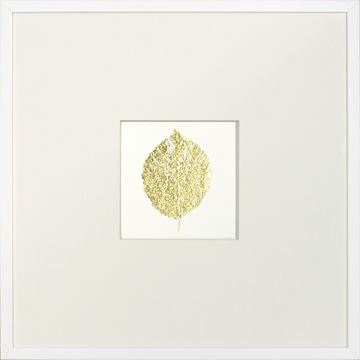 A linen textured, raised matte sets off these gems against clean white frames. 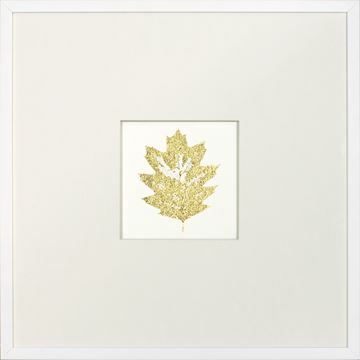 Note: hot stamped foil not hand gilded for a more economical but beautiful look.